Description: This folder contains a repaint for the A2A Curtiss P-40B. 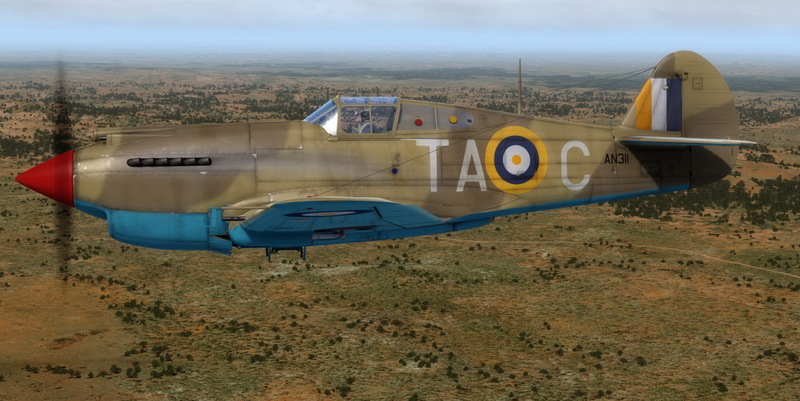 It represents South African Air Force Tomahawk IIB AN311 TA-C of No 2 Squadron, as flown by Lt Danny Saville from El Adem, Libya in November 1941. Repaint by Jan Kees Blom, based on the paint kit by A2A.